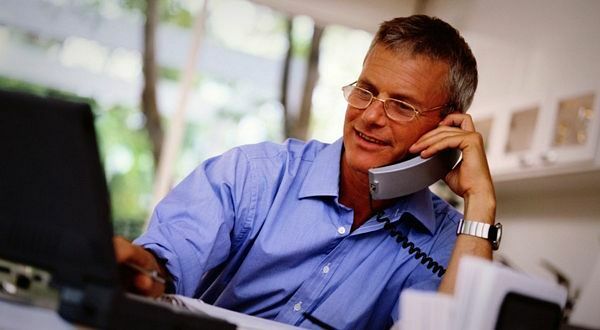 Phone interviews are quite common in the initial stages of interviewing job candidates. They save recruiters and candidates a lot of time. Do not assume that phone interviews are easy just because you can sit comfortably at your home, you do not have dress up for the interview. Here are some tips to help your prepare for a phone interview. Schedule the phone interview for a quiet time, possibly when you can give it your full attention. Use a room where you can close the door and lock it. Avoid distractions or loud noises. Be in the room studying for the interview at least ten minutes in advance. Have your resume next to the phone. Make sure that it is the same version that you had sent out to the recruiter. Research the company and the job. Prepare brief structures of your answers to major questions. Print them or write them in large letters and place them in front of you. Have your questions ready for the interviewers. Stand up. You sound better when you do. Smile and talk with confidence. Talk a little more loudly than you would in a conversation. The phone robs you of some of your energy, because they cannot see facial expressions and body language.